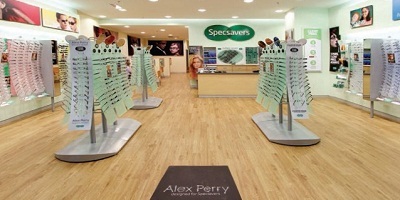 When it came to selecting a flooring product for its 300+ new outlets in Australia and New Zealand, new entry in the eyewear market, Specsavers showed clear vision, choosing Polyflor's Expona LVT (Luxury Vinyl Tile and plank) to enhance the outlets' design. The third-largest supplier of eye care in the world, the company has grown at an eye-popping speed in the three years since it came Down Under, averaging 100 new stores a year. 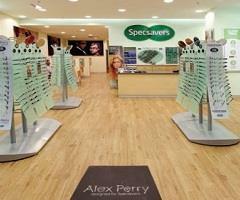 As the leading eye care brand in Australia and New Zealand, Specsavers needed a great fitout to match its image. The company's offering of stylish and fashionable specs in a wide range of colours and styles is matched by the outlets' light, fresh décor, which subtly emphasises Specsavers' values of clinical excellence, professionalism and quality. The soft, warm colour of the Expona Classic Oak and its authentic textured finish light up the space, as it reflects the timber finish of the counter, dispense desks and test room furniture. Good looks aren't everything. A commercial outlet needs a floor that's more than just a pretty face. Expona is a hardwearing floor that's easy to maintain and durable, and it doesn't lose its eye appeal. The first Australian Specsavers shops are now three years old and they still look baby-face fresh thanks to Expona. The view from the floor is even better because Expona is the only retail-specific vinyl flooring in Australia to have achieved the environmental Green Tag LCA certification by Ecospecifier. Only Polyflor vinyl flooring ranges have achieved maximum points in the materials-flooring calculator of the Green Star rating tools.